Adventure awaits wherever your feet take you! At first glance, my new pair of yellow and black KEEN Turia Sandals was already impressive in terms of style and design. But, of course, when it comes to outdoor footwear, it’s more than just good looks. Can my new pair of KEEN pass the litmus test of backpacking? Excited to see how it performs on and off the road, I took my new “bumblebee” sandals on a 10-day road test from Cordillera to Cagayan Valley, then a 37-day backpacking trip around Vietnam, Laos and Malaysia (where my team won the Malaysia Tourism Hunt 2013!). 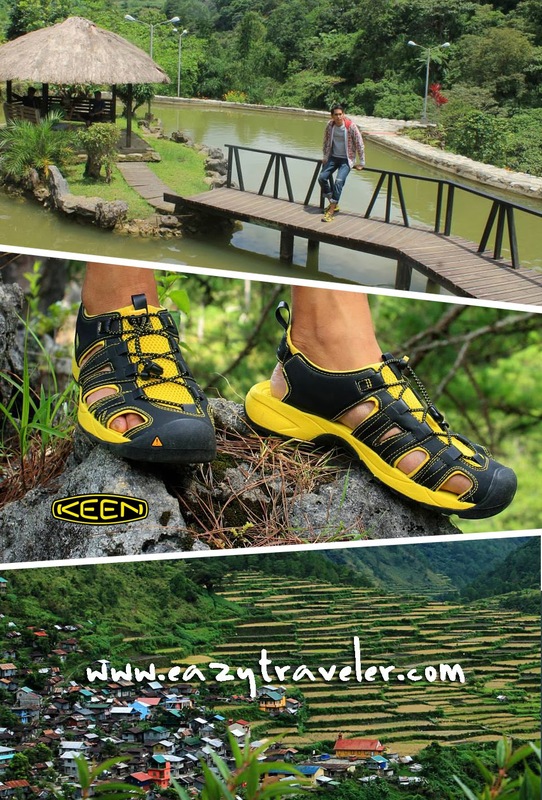 Since its introduction in 2003, the KEEN brand has impressed the world with its radical departure from the ordinary with its special hybrid sandals that feature a protective toe bumper, allowing the feet to get shoe-like protection with the breeziness of a sandal. Whether it was clambering up a waterfall in Isabela or wandering caves in Ha Long Bay, KEEN effectively shielded my toes from accidental bumps and painful scrapes. Its flexible and lightweight construction makes KEEN Sandals a perfect partner for backpacking trips. The secure fit lace capture system made it quick and easy to put on for full day of exploration. The breathable airmesh, contoured footbed, and heel support structure prevented one from getting blisters and sore feet from wearing ill-fitting or non-ergonomic footwear, especially on long walks and hikes. Lastly, I was most impressed by the footwear’s all-terrain versatility. My pair of KEEN sandals endured all sorts of surfaces from city to countryside – asphalt, concrete, tile, sand, gravel, mud, guano – you name it! Having tested them for nearly 50 days of both urban and off-road travel, I’ve tried my KEEN on various terrain. They even provided a satisfactory non-slip grip when I toploaded a jeepney amidst the Banaue Rice Terraces! Overall, my KEEN Turia Sandals passed my backpacker road test with flying colors, and I’m looking forward to our next adventure. Let’s see how it performs on a trip to the Middle East! Learn more about KEEN Footwear by liking the official Facebook page, KEEN Footwear Philippines, or try on a pair at your nearest ROX, Res | Toe | Run, or Grind stores. Wow! Catchy yung colors ng sandals na to ah! :] Comfortable ba sa paa? How much is it by the way?